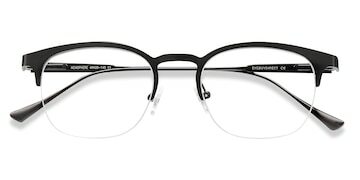 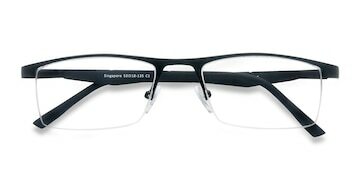 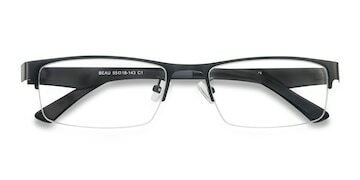 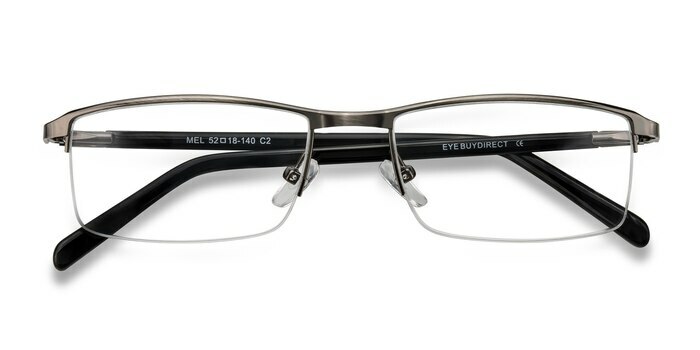 These gunmetal eyeglasses are strikingly daring. 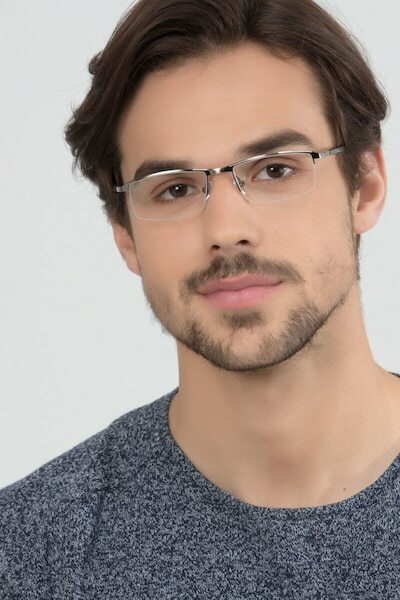 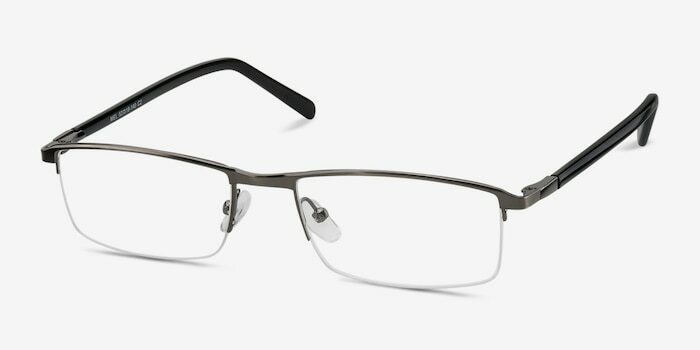 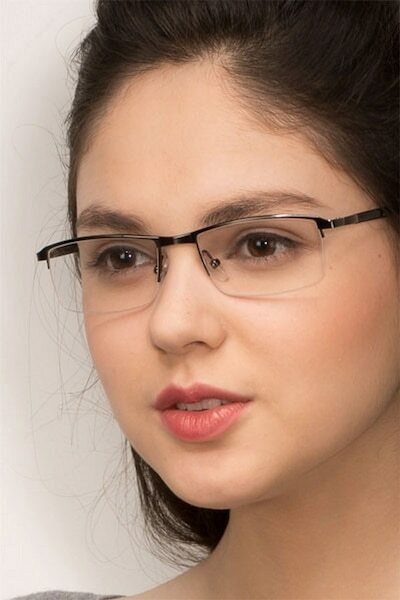 This sleek and clean semi-rimless style boasts a polished gunmetal finish with an accentuated brow line bordering distinctive rectangular lenses. 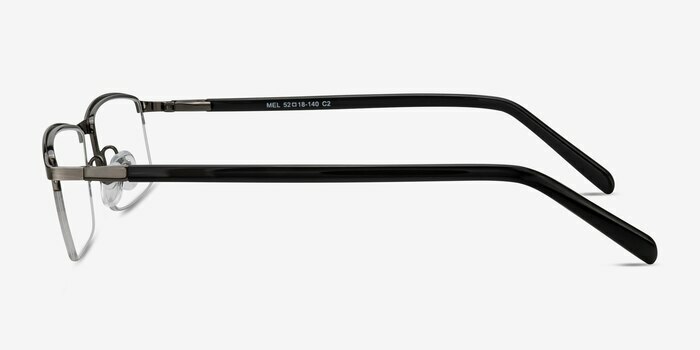 The temples feature a marbled acetate finish and are connected with spring hinges. 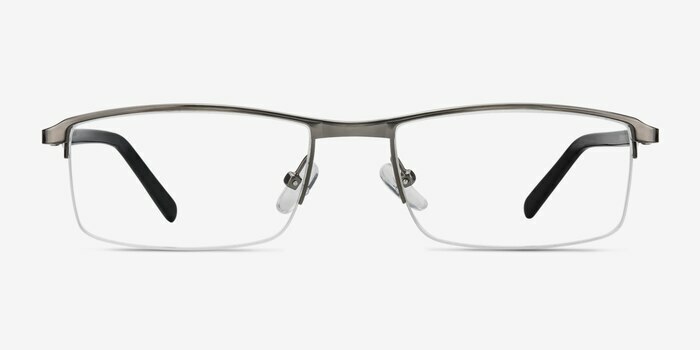 Adjustable nose pads make this minimalistic look suitable for both men and women.